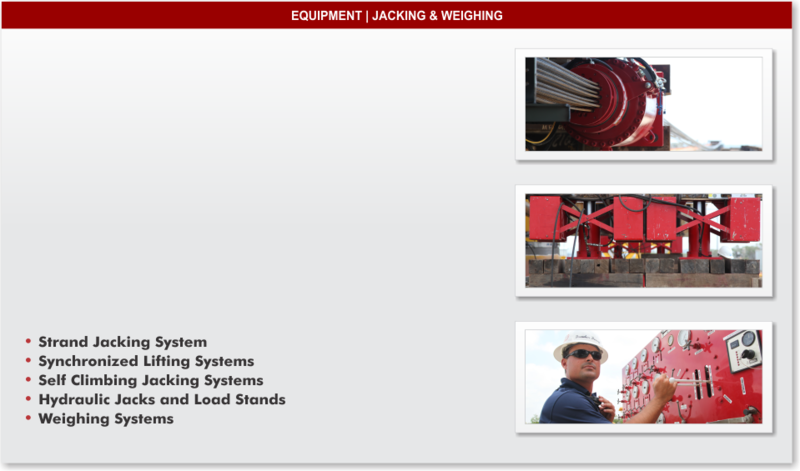 Our equipment inventory is a testament to our dedication to the latest in technological advances in the super heavy transport and rigging industry. The investment we've made insures that our clients get the very best dependable equipment, together with over sixty-five years of heavy moving experience to carry out every project in a safe and timely manner. It's our commitment to giving the very best to our clients, and having the very best tools of the trade is the only way we do it at Berard. Below you'll see information on our wide range of equipment in the Berard fleet. Click Here to visit our surplus equipment for sale page. 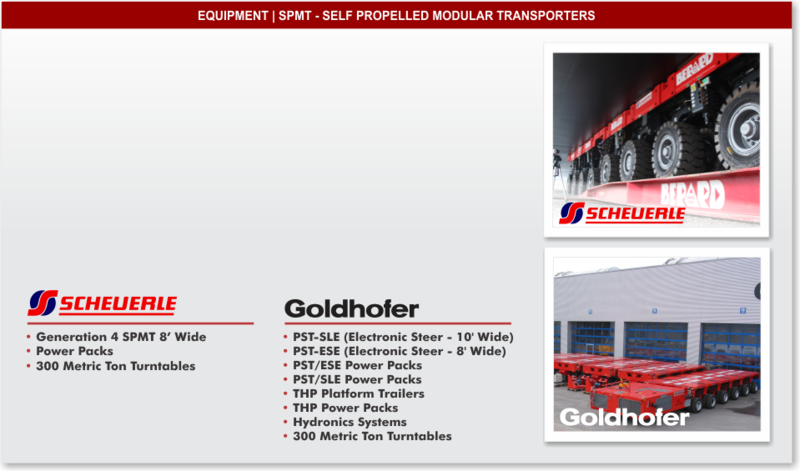 Berard owns and operates one of the largest fleets of Goldhofer and Scheuerle SPMT's (Self Propelled Modular Transporters) in the United States and our operators are considered some of the best in the world in both operating and technical knowledge. Our fleet consists of two types of Goldhofer, PST-SLE 10' wide electronic steer and THP 10' wide Platform Trailers which are pulled by truck and are mainly utilized for over the road transports. Our 8' wide Scheuerle Generation 4 SPMTs are the latest addition and a real asset to our fleet giving us more capacity and versatility. The versatility of our SPMT fleet gives us the maximum level of maneuverability, reliability and safety and is the true workhorse of our fleet. Our vast inventory of jacking equipment consists of a range of several different types and sizes to handle many different applications. One of the versatile tools we have is the 660 Ton Strand Jack which is capable of lifting when setup in the vertical position and pulling or skidding when in the horizontal position. Another one of our versatile tools is our self climbing jacks which are a big time saver as they save time due to not having to reset the jack as the load lifts higher, hence self climbing. We also have several types of unified hydraulic control systems from manual truck mounted systems to computer controlled systems. Berard has the skidding systems necessary to accomplish projects such as transferring loads from railcar to spmt for ground transport as well as situations where a piece needs to be slid out of congested locations such as power plants etc.